Sitting proudly on the edge of the Bay at Fisherman’s Wharf, the iconic Argonaut Hotel offers seaside charm, chic accommodation and unparalleled luxury. 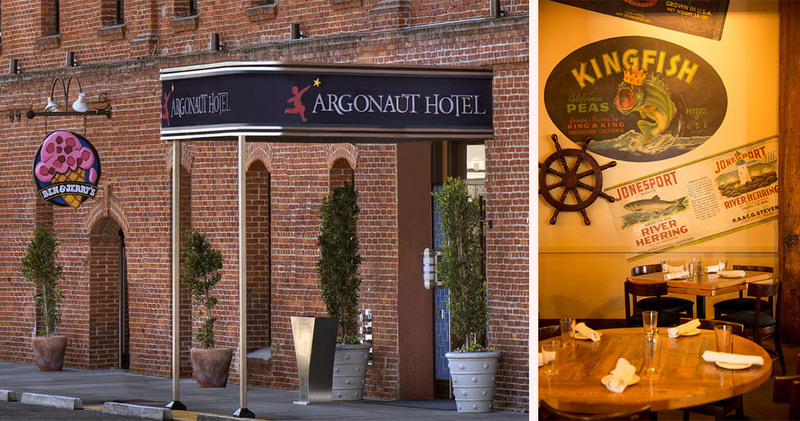 With an enviable waterfront location, the Argonaut Hotel is just steps from Fisherman’s Wharf and Aquatic Park. 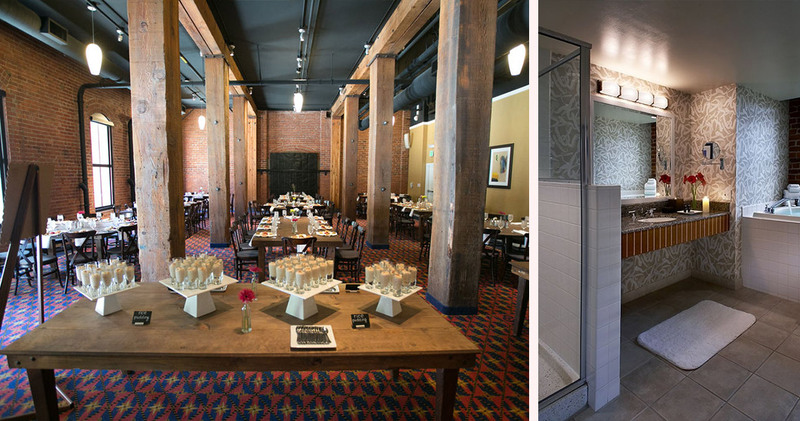 Inspired by Greek legend and the Gold Rush era, this boutique hotel is housed in the Haslett Warehouse, a historic building featuring Douglas Fir beams and exposed brick. 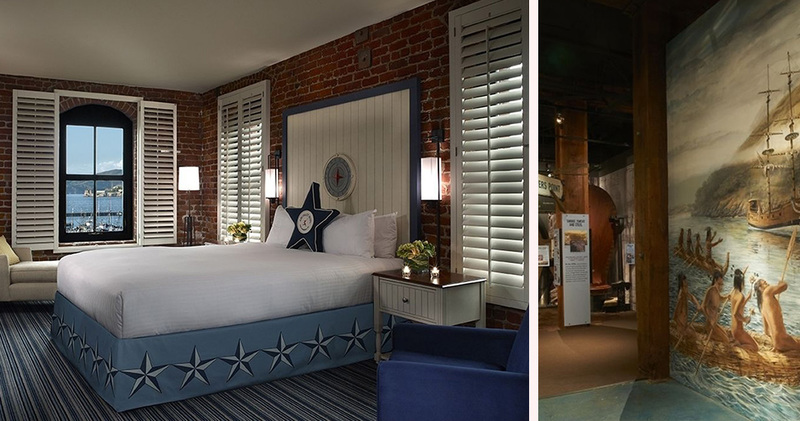 The nautical decor features a color palette of rich navies and maroons, along with plush furniture and subdued lighting. The hotel’s daily wine hour serves guests a range of vintage wines, and the signature in-room spa treatments use deluxe Kerstin Florian products. The Argonaut San Francisco has won the AAA 4-Diamond Award consecutively for the past ten years. 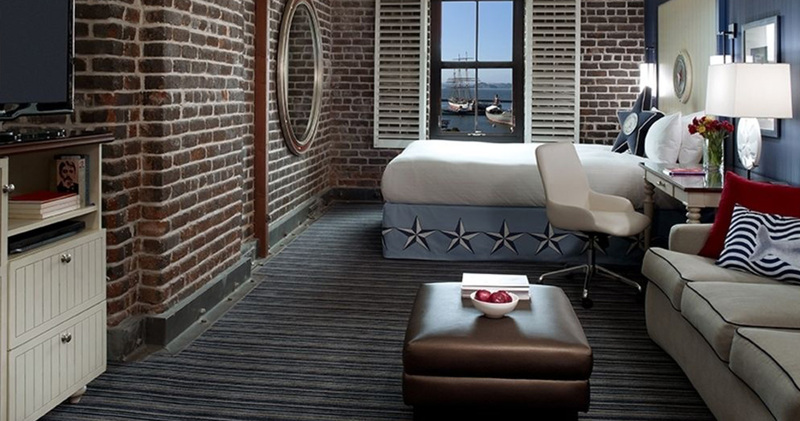 The Argonaut San Francisco’s chic guestrooms create a tranquil environment. 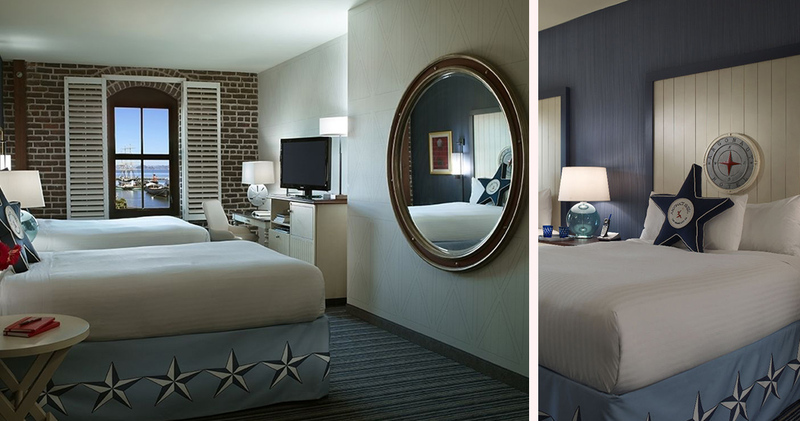 Featuring whitewashed furniture with accents of blue, yellow and red, the guestrooms are sophisticated yet comfortable. 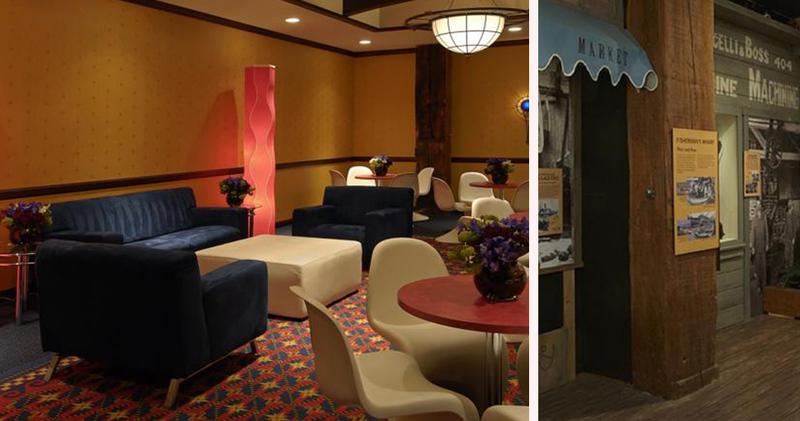 All rooms include an Eames chair and Captain’s style work desk, and the honor bars are stacked with gourmet treats. Complimentary Starbucks coffees are even available with the coffeemakers. The bathrooms are spacious and well-lit, featuring large, deep tubs. 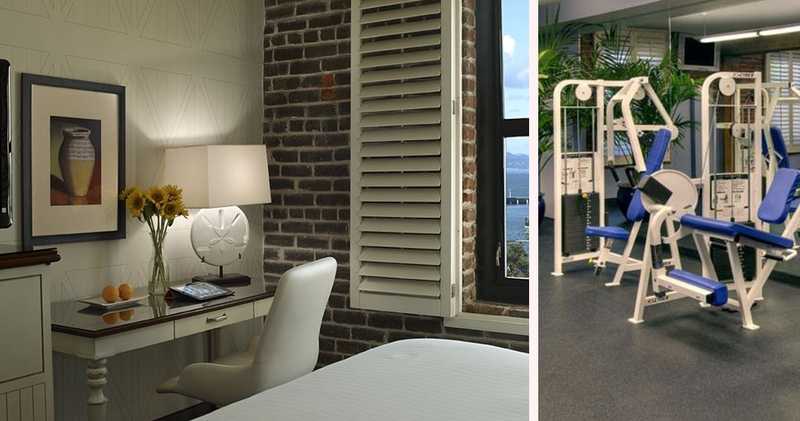 Some guestrooms also offer stunning views of either the Golden Gate Bridge and Alcatraz Island. 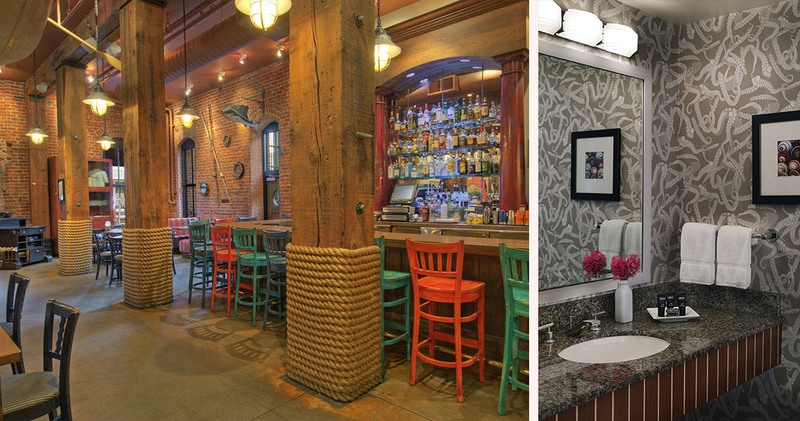 The Argonaut Hotel is home to the Blue Mermaid Chowder House and Bar. The rough timber, rope braids and mermaid renderings of the restaurant create an authentic oceanfront ambience. The menu pays tribute to Barbary Coast heritage with homemade chowders and steamed mussels. This coastal cuisine is complimented with microbrew beer, cocktails and wines. Fisherman's Wharf is an iconic neighborhood with bustling streets, novelty shops and fishing boats. The area is very popular with visitors for its seafood, crab markets and spectacular views of Alcatraz Island and Golden Gate Bridge. 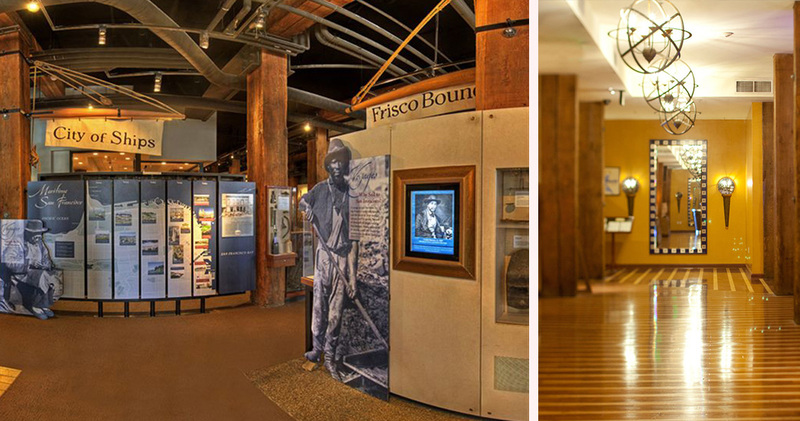 Hyde Street Pier has authentic 19th-century ships while Ghirardelli Manufactory is a good place to learn about chocolate's history and sample some sweet treats. Visitors will also find many excellent restaurants like Boudin, famous for clam chowder and sourdough bread. Pier 39 is a colorful collection of quaint cafes, restaurants and stores with numerous diversions. Fisherman's Wharf is also home to attractions like the Ghirardelli Square and 7D Experience.